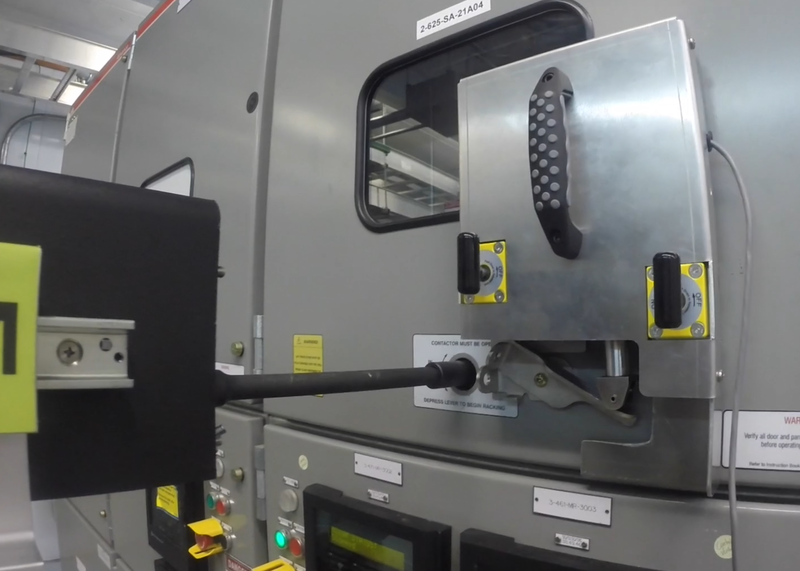 Many of you know that inoLECT manufactures a universal, technologically-advanced Remote Circuit Breaker Racking Device, the inoRAC2, which eliminates the risk of Arc Flash to personnel. The newest addition to the inoRAC Product Line is the ABB Advac Actuator, which allows compatibility with Advac circuit breakers. The custom-designed tool is a lightweight, aluminum housing, surrounding a linear actuator equipped with a roller. It easily attaches to switchgear doors with industrial-strength magnets and requires no modifications. When operating, the actuator/roller engages the breaker’s interlock lever, allowing it to perform disengage/engage functions. The tool is installed quickly, very user-friendly and requires one connection cable. This is only one of the many solutions that make the inoRAC2 the most universal remote racking product on the market. Unlike competitors, the inoRAC2 provides optimal breaker protection by monitoring torque and breaker position, and applying torque only when needed. It is also the only device available that stores breaker profiles for easy access next time it it needed. Schedule a free demo by calling 1-844-inoLECT or watch the ADVAC video online here.